I’ve always been drawn to examining how design affects us; the reason you like your favorite mug, the smartphone that easily guides how you swipe and click, why you like the layout of your go-to grocery store. I’m an engineer in the Experience Design Group at Dell. My team designs products and services with a focus on the quality of the user experience. Sometimes design is done well, but frequently it’s not, and that can have significant implications for sustainability. I’m reminded of this today, America Recycles Day. Those implications are especially important in the world of tech, where electronics innovation continues to move at an impressive rate – with personal electronics usage soaring. More people are buying more electronics, more frequently. According to the latest annual Visual Networking Index Forecast by Cisco, Americans will have 13 networked devices and connections per person on average by 2021! Let’s pause here for a minute: Can you imagine managing 13 devices? If you start to count what you own now, it may not seem that unreasonable. All that IT adds up to a lot of global e-waste. Waste in general is growing – and in the U.S., many municipalities struggle with recycling e-waste and plastics. A lot of it, therefore, ends up getting trashed or shipped to developing nations where recycling may be unregulated and hazardous. Now that China and many countries in Southeast Asia won’t take it, the rest of the world needs to find a place for an estimated 111 million metric tons of plastic waste that will accumulate in the next dozen years, according to University of Georgia researchers. The great news is that product companies and product designers are in a prime position to make a really positive impact through designing out waste and supporting recyclability. Yes, sustainable design is more important than ever – and it’s driving some pretty amazing breakthroughs here at Dell through our commitment to design with circular economy principles and to use sustainable materials. My work meetings can get pretty interesting. We talk through things like how we can use more ocean-bound plastics and use less solvents in our painting processes – to ways we can use bio-based materials and how we might utilize materials used in space. Back in 2013, when the push to create thinner and lighter notebooks began, my work focused on how we could create the lightest material with the best rigidity to meet our demanding Latitude laptop performance specs. Carbon fiber became our choice to achieve these objectives. My first step was to engage with our suppliers to explore our use of this material. Our suppliers understand our focus on sustainability and are willing to develop these new materials with us because of our scale. So, when we were able to identify a way to be mindful of our environment and our budget, we were thrilled. The solution we came up with was to incorporate reclaimed carbon fiber from the scraps of the aerospace industry, repurposing it into select Dell laptop designs! Carbon fiber was first used in 2015 in the Latitude 7450 and is now being used across the entire Latitude 5000 series. The latest material used in our Latitude 5000 laptop covers was recently improved and contains 50 percent recycled content (20 percent recycled carbon, 30 percent post-consumer recycled plastic). The result is a laptop comprised of reclaimed materials with no trade-offs in durability or performance. To consider our use of sustainable materials, I need to look at things early in the product design process. The use of reclaimed, recycled materials in a product helps determine how it is designed from the get-go. I consider how we can optimize the material’s characteristics for our needs – and whether we can source it for the long-term. In the case of reclaimed carbon fiber, we spent two years developing this material with our supplier before we identified how we’d use it in our products. We needed to overcome the challenge with consistency in the batches of reclaimed plastics that we use to make our parts. Consistency is a very common obstacle to using recycled materials. Since we have implemented this material, we have prevented several millions of pounds of scrap carbon fiber from being landfilled. A great thing about carbon fiber is it can be recycled repeatedly without losing its properties. Our teams at Dell are examining how we can use more green materials in more ways in more Dell products. We’re up for the challenge. But we need your help. While consistency is a very common obstacle in using recycled materials, scaling these materials is equally a challenge. In order to continue our reuse of e-waste, we need to recover a steady stream of materials back from our customers. Dell needs your used IT to repurpose and recycle valuable materials – and your recycling aids the economy in increasing employment. Whether a tossed device becomes someone else’s next device, a pair of recycled gold earrings made from Dell’s collected e-waste, or the inner workings of the next new device — what is yesterday’s trash might just become tomorrow’s future! Here’s a couple easy things we can all do today: in support of America Recycles Day, take their pledge and help your old, unused electronics achieve their dream to #BeRecycled. Consumers can drop off their unwanted electronics at a Goodwill® participating in the Dell Reconnect partnership. This program provides free and responsible computer recycling through Dell and helps support local communities by creating jobs for individuals with challenges at Goodwill. 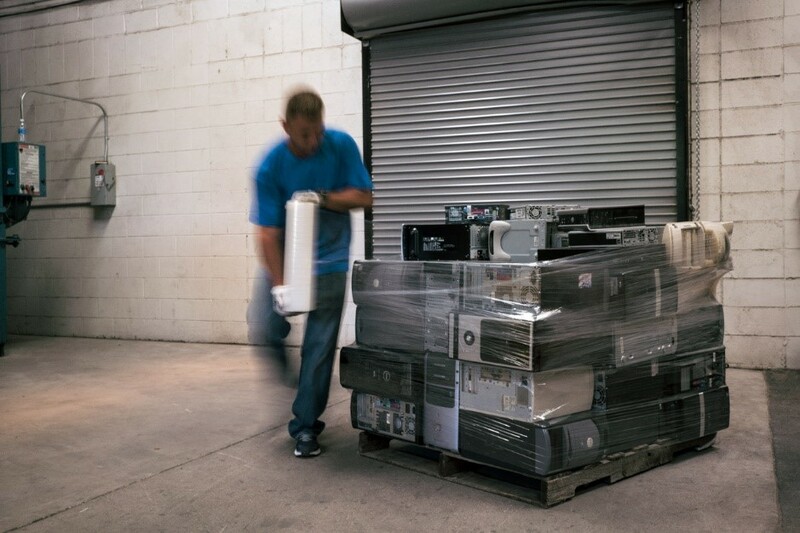 Dell’s Asset Resale and Recycling Services can help businesses resell, recycle or return to lease any brand of retired IT in a secure and responsible manner. If you’re not in the U.S., check out Dell’s global recycling services. You can also explore Dell’s trade-in program at dell.com/tradein for used Dell equipment that may still have value.